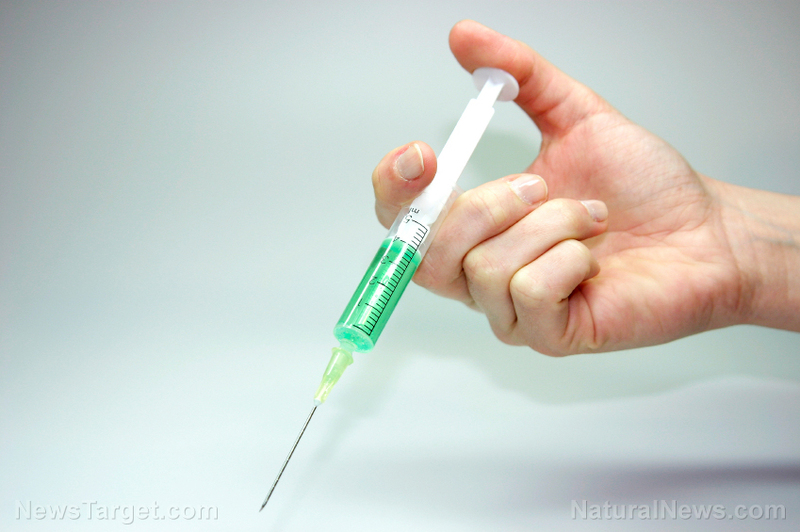 (Natural News) Schools in Rhode Island’s Coventry District are taking the vaccine mandates to new heights. Recently, three middle school students were quarantined at school until a parent or guardian came to take them home. Why? Because the adolescents had not received the HPV vaccine — a questionable-at-best injection that has proven itself to be capable of grievous harm. Earlier this year, it was revealed that over 100 women and girls in Japan had launched lawsuits against their government and two HPV vaccine manufacturers — GlaxoSmithKline and Merck — due to the harmful effects the immunizations had on their health. Some of the major health conditions the women developed include chronic pain, impaired mobility and severe menstrual pain. One young woman, Erina Sonoda, reports that while she was perfectly healthy prior to receiving the Cervarix vaccine, by the end of the three rounds of injections, she needed a cane to walk. The 20-year-old says that after the second injection, she developed horrible menstrual pain — and by the third, the pain had spread to her entire body. When Sonoda is not able to walk with a cane, she uses a wheelchair. Clearly, the Rhode Island girls have good reasons to abstain from the HPV vaccine, even if their school system disagrees with them. Gardasil, the other HPV vaccine, has been attributed to a number of ill effects, including paralysis and brain damage. Last year, the coastal state came under fire for deciding to mandate that all 7th-grade children needed to have the HPV vaccine, regardless of gender. Dr. Ailis Clyne, director of the Rhode Island Department of Health’s Immunization Program, states that 7th graders need to have had one dose of the inoculation, while 8th graders will need to have had two. Unsurprisingly, a number of Rhode Island parents objected to the vaccine mandate, with concerns ranging from personal to religious reasons. Medical and religious exemptions are allowed, and at the time, schools were encouraged “not to ask questions” even if parents had not submitted exemption forms. That viewpoint, however, seems to have changed. On April 10, 2017, three girls at a Coventry middle school were removed from their first period classes and detained in the office until someone came to pick them up from school. Apparently, the children were not even allowed to use the restroom. Two of the girls claimed to have gotten the vaccine, but because the school did not have the appropriate paperwork, they were sent home anyways. One student, Savannah, did an interview with Dan Bidondi of Truth Radio Show. Savannah says that the school had sent home letters and made phone calls to tell her family that if she did not get the vaccine, she would be sent home. According to Bidondi, the Department of Health had previously stated students would not be made to miss school over the vaccine mandate. The Rhode Islanders Against Mandated HPV Vaccinations group had previously argued that there was no point in a vaccine mandate that would not be enforced, and that this was reason enough for the mandate to be revoked. It seems that at least the Coventry district has devised a response to these assertions, though it is not the answer the anti-mandatory vaccine group had hoped for. Instead of removing the mandate, students who are not vaccinated are apparently going to be removed. Savannah says that her school principal said that the order to remove her and the other two girls from class was not the school’s decision, and that the order had been handed down from the superintendent because it was a “state law.” Savannah will not be able to return to school without a doctor’s appointment or a completed exemption form. This is an obvious violation of parental rights — and a violation of children’s rights. As Bidondi points out, the state law regarding the HPV vaccine explicitly notes that children should not be made to miss school over the vaccine.